The Pillar Procedure – What is it? The Pillar Procedure is a minimally-invasive surgical procedure that’s conducted on qualified recipients who have severe snoring and/or obstructive sleep apnea problems. It’s a one-time procedure that requires only local anesthetic, and takes about twenty minutes to complete. As such, it’s a very simple affair – which is why a lot of people have gotten it (and many more have likely considered it). Snoring is always a problem. It might not seem like it right now – but it will affect your quality of sleep, regardless of how bad it is. You may not notice it at first – but in time, you’re likely to develop some more complicated problems as a result of your lack of quality sleep. Information! A procedure like this could help to solve the problem, though it might not be for everyone. The procedure basically involves a doctor placing small, woven ‘implants’ into the roof of the soft palate. This is the area that’s thought to be responsible for most cases of snoring, and is the area that will be the most effected by the Pillar Procedure. Information! These tiny implants will ‘stiffen’ the soft palate – making it less susceptible to the vibrations that cause snoring. The benefits of this procedure are definitely positive. If it works for you, you’ll likely be snore-free for the rest of your days. 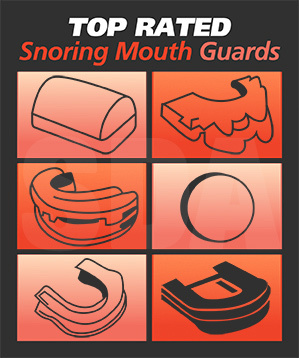 You won’t need to spend any more money or time trying different anti-snoring methods, and you won’t really need to think about snoring ever again. You won’t look or feel any different – except in the sense that you’ll be getting more sleep than usual and will benefit as a result. This method doesn’t require you to put anything into your mouth, stick anything to your nose, or take any kind of medication (except for possibly pain-relief medication for a very short time after the procedure). Once it’s completed, you really won’t have anything to worry about. The major downside is that The Pillar Procedure might not work for everyone. With that being said, it’s relatively expensive (it is a medical procedure), and if it doesn’t work, you might be out a large chunk of money that you can’t get back. That’s really the only downside. If it doesn’t work, you’re kind of out of luck – and you’ll have spent all of that money for virtually no reason. Only a medical doctor can tell you if you’re a good candidate for The Pillar Procedure. If you’re interested in a permanent solution and are willing to spend some money to make it happen, then you might want to talk to your doctor about it and find out if it might be right for you. An evaluation should determine whether or not you’d be a good candidate for it – and your doctor may be able to tell you how likely it will be to work in your specific case. People who have snoring problems that are not caused by soft palate vibration will be very unlikely to see any sort of benefit from the procedure. Because of this, everyone needs to see their doctor for an evaluation first, to determine if the procedure will even help them. You probably shouldn’t get this procedure done if you’re not looking to spend some money on it, either. Surgical procedures aren’t cheap, and you’ll probably have better luck with a cheaper anti-snoring device if you’re on a tight budget. The Pillar Procedure has gotten some amazing reviews, and has already been used to help over 45,000 people since it was created. But with that being said, there’s no guarantee that it will work for you. The only way to be sure is to see your doctor. They can tell you how effective the procedure is likely to be for you, and can give you more information that should help you to make your final choice. The good thing about Pillar is that it can solve your snoring problems for good! The bad news is that sometimes it doesn’t. Only research and a doctor will be able to tell you exactly what your chances of success are.